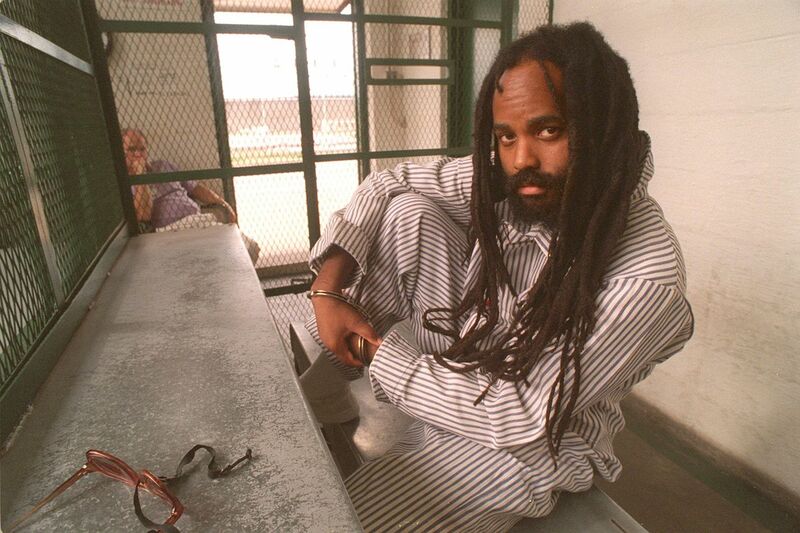 Mumia Abu Jamal has been on death row since the 1990s. A federal judge on Tuesday ruled that Mumia Abu-Jamal should be provided new medications by the state to treat his hepatitis C infection. U.S. District Judge Robert D. Mariani ordered that Abu-Jamal, who is serving life in prison for the 1981 killing of Philadelphia Police Officer Daniel Faulkner, must be seen by a doctor within 14 days to determine if there is a medical reason he should not get the expensive drugs. If Abu-Jamal is medically cleared, the state must provide him with recently developed direct-acting antiviral medication, also known as DDA. Susan McNaughton, a Department of Corrections spokeswoman, said, "We are reviewing the decision and cannot comment further at this time." She did not elaborate. The DOC has argued in court filings that Abu-Jamal has not met the criteria for treatment. The state has about 7,000 inmates with hepatitis C, and treating them - at a cost of $84,000 to $90,000 per person - would cost $600 million. Robert J. Boyle, a New York lawyer representing Abu-Jamal, said in a statement that he expected the state to appeal the ruling. "The struggle is far from over: the DOC will no doubt appeal this ruling. But a victory!" Boyle said. Bret Grote of the Abolitionist Law Center in Pittsburgh said the ruling was the first time "a federal court has ordered prison officials to provide an incarcerated patient with the new [hepatitis C] medications that came on the market in 2013." In 2015, Abu-Jamal, who spent 29 years on death row, was hospitalized after he fell into diabetic shock and was found to have hepatitis C. Lawyers filed suit that year to improve his medical treatment. Mariani, a Scranton judge who sits in the Middle District of Pennsylvania, previously stated that the Department of Corrections' interim protocol for treating hepatitis C "presents deliberate indifference to the known risks which follow from untreated chronic hepatitis C."
But he ruled against Abu-Jamal because members of the department's Hepatitis C Treatment Committee, which makes treatment decisions, had not been named as defendants. An amended complaint was filed in September. Abu-Jamal, a former Black Panther and sometime radio reporter, was found guilty of the Dec. 9, 1981, slaying of Faulkner, 25. He was sentenced to death in 1982, but that sentence was overturned by a federal appeals court and reduced to life without parole.